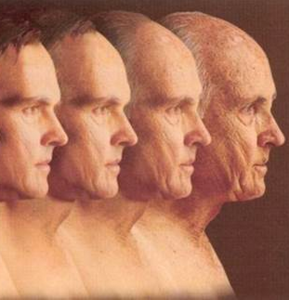 Aging is part of the natural process our bodies go through, but do we have to look older? Science is finding new ways to keep us looking and feeling young. The best news is that many of these tricks can be done naturally, by simply making small changes in our day-to-day lives. If you’re ready to slow down the clock, follow these easy tips for staying young inside and out! And not just any fruits and veggies. Scientists have found anti-aging properties in lots of yummy produce. Leafy greens, such as spinach, kale and romaine lettuce are packed with cancer-fighting antioxidants that can slow the wear and tear of your DNA. For more free radical firepower, snack on some blueberries or blackberries, both of which are anti-aging superfoods. Keeping your skin from drying and helping to repair damaged cells will fight off wrinkles and discoloration. Look for moisturizers with retinol, a vitamin A derivative that actively undoes wrinkles and skin damage. Use coconut oil to trap moisture in your skin and a lotion with hyaluronic acid to draw in moisture. The saying “you snooze, you loose” isn’t necessarily true. In fact, sleep is often regarded as the most underutilized tool for staying healthy and youthful. When we are sleeping, our bodies are able to restore and repair cells that were damaged during the day, warding off illness and keeping your skin tight and luminous in the process. If you have a smoking habit, quitting is the best thing you can do to slow your aging process. Cigarette smoke has been linked to a number of age-related diseases and e-cigarettes have been found to have toxins like formaldehyde, lead and cadmium in their aerosols. Plus, no one needs those extra wrinkles caused by sucking on a cigarette. A single organic egg contains nine essential amino acids, six grams of quality protein to repair body tissues, lutein and zeaxanthin for your eyes, naturally occurring vitamin D, and choline for your brain, nervous- and cardiovascular systems. Try garlic, which is a powerful antioxidant with antibacterial and antiviral properties, to your egg. From processed sugars in sweet snacks to hidden sugar in dressings and yogurt, sugar has come out as a leading age-inducing ingredient. When sugar attaches to proteins in your bloodstream it forms harmful new molecules called advanced glycation end products. The most vulnerable proteins? Collagen and elastin, which keep skin firm and elastic. Keep your skin from becoming dry and brittle by cutting sugar from your diet. Water that is. Our bodies are approximately 60 percent water, and we need H2O to help everything function – from our brains to our lungs. Hydration is a key component of keeping your skin healthy as well, so you not only feel better when your drinking water, you look better too! It may sound silly, but learning to express yourself without raising your eyebrows or scrunching your nose will save you some wrinkles in the long run. To keep wrinkles away, try to cut frowning out of your arsenal. If you’re going to get the marks, you might as well get them from smiling! It’s time to cut out fake baking and protect your skin. Whenever you go into the sun, cover all exposed areas with at least 15 SPF. You’ll still get all of the positive benefits of sunshine without UV rays damaging your skin. You can make a natural sunscreen using coconut oil, zinc oxide, shea butter, helichrysum oil and lavender essential oil. As we age our hair becomes thinner and more brittle, a result of years of damaged cells adding up. Shampoo traps the dirt and oils in our hair and pulls them out when we rinse, but clearing out oils too often can lead to dry hair prone to breakage. Stylists suggest going as long as you can without shampoo, and instead simply rinse and use conditioner regularly. Sporting sunglasses serves two purposes. First, sunglasses keep you from squinting, reducing the amount of wrinkles around your eyes. They also protect your vision. Eyesight naturally deteriorates with age, but too many run ins with harmful UV rays can increase your risk of cataracts and other eye damage. Antioxidant rich teas, such as green tea, white tea, oolong tea and black tea, contain polyphenols that protect your cells from free radical damage. Tea is also a healthy caffeine alternative if you’re trying to kick the coffee habit, which can yellow teeth and disrupt natural sleep cycles. I know you don’t want to hear it, but you need to run. Or at least regularly participate in an activity that gets your heart pumping. Decreased physical activity causes fat and plaque to build up in your body and forces your heart to work harder whether you’re active or sedentary. Ward off heart disease and numerous other diseases with a 15-30 minute walk each day. Not all fat is bad for us. In fact, monounsaturated fats (MUSFs), the fat in olive oil, is essential to our health. Replace the saturated and trans fats in your diet, such as butter and margarine, with MUSFs and you’ll see the health benefits. MUSFs have been proven to reduce risk of heart disease, lower cholesterol and improve insulin levels. Too much makeup can dry out your complexion and some cosmetics have even been tied to premature aging through chemicals that disrupt hormones and throw the body into early aging. Cosmetics experts say that a more natural look better suits women in middle age anyways, so cut back to blush, mascara and lipstick, and look for all-natural products. As we age we lose muscle mass, leaving bones more exposed, ligaments strained and arms unsightly. You can use a simple strength training program to extend your life and mobility, and look great as you age. Impress your friends by opening that jar of pickles in a cute, new tank top! The lens inside our eye begins to stiffen from about age 10, but it isn’t until our mid- to late-40s that we notice problems trying to focus when reading up close. You can slow down this aging process with a healthy diet containing vitamins A, C and E. Fish oils in particular are great for eye health, since they contain anti-inflammatory agents and reduce age-related cellular damage. Foods like pasta, bread and baked goods contain processed carbohydrates that have been proven as factors in aging. Carbohydrates can damage your skin’s collagen, which causes your skin to lose elasticity. They’ve also been linked to unhealthy insulin levels, frequently noted as the number one cause of aging. As it turns out, a glass of red wine a day is what actually keeps the doctor away. Studies have found that red wine contains an antioxidant called resveratrol, which blocks diseases by speeding up the cell’s energy production center known as the mitochondria. But you can have too much of a good thing. The health benefits of red wine are only found when consumed in moderation. Fight the signs of aging by consuming more calcium. This vitamin not only helps your bones stay strong as you age, it also helps your skin maintain elasticity and replace dead cells. A new study has even shown that calcium can help reduce wrinkles by keeping your bones from deteriorating. Get your daily dose through milk, broccoli and salmon. As we age our bodies begin to lose more necessary vitamins and minerals than we can replace through dieting alone. Natural supplements can help fill in the gap. Try using a multi-purpose supplement like coenzyme Q10, which offers multiple benefits from a single capsule such as heart health and cell repair. Scented candles have been found to contain gerontogens, environmental factors that speed up aging. Paraffin wax and synthetic fragrances are both made from petroleum and release cancer causing, age-accelerating chemicals like benzene and toluene. These chemicals can stick around your home for years so try to refrain from burning scented candles and use natural air fresheners like essential oils instead. We often feel older when we are under stress, but researchers are finding that stress can actually speed up the aging process. To keep signs of aging away, start meditating regularly. Meditation has been shown to lower anxiety, depression and anger while also improving your psychological health. 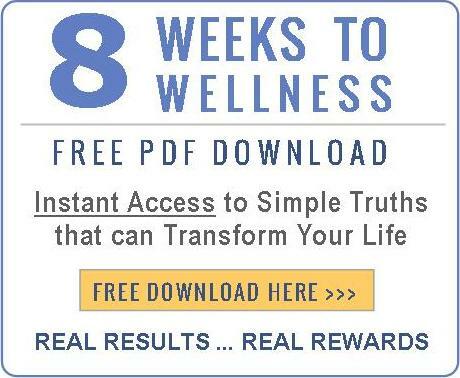 Just 10 minutes a day can reverse DNA damage and boost your immune system. Although there’s nothing quite like a refreshing cola, a main ingredient in soda, phosphoric acid, can cause a variety of health problems as you age. Issues with heart and kidney function, muscle loss and osteoporosis have all been tied to phosphoric acid. Keep these health concerns away by eliminating soda from your diet. Spending time in nature has been shown to help lower depression and feelings of stress. One study even showed that spending a few hours outside can help increase your white blood cell count, giving you a natural immunity boost. Take a walk after work or go for a hike over the weekend. Just a few hours can give you a week’s worth of health benefits. When you feel joy, your brain neurons fire and cause the muscles in your face to contract, leaving a smile on your face. Those muscles in turn send messages to your brain reinforcing the feeling of happiness, creating a positive feedback loop. Smiling not only increases endorphins, which relieve stress, it exercises your brain too, keeping you sharp as you age. It’s easy to slow the aging process when you know what to do. These simple tips and tricks can help you turn back the clock without using potentially harmful chemicals or products. For more help fighting the signs of aging naturally, you can always count on Nature’s Sunshine for quality products made with your well being in mind.